Pictures of shark attacks and shark bites. 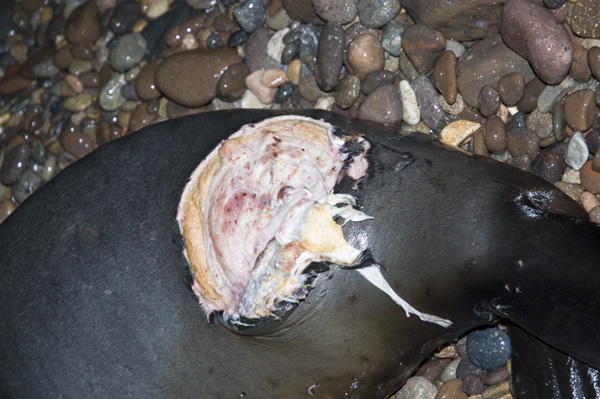 Shark Attack Pictures - images of shark bites and animals wounded by sharks. 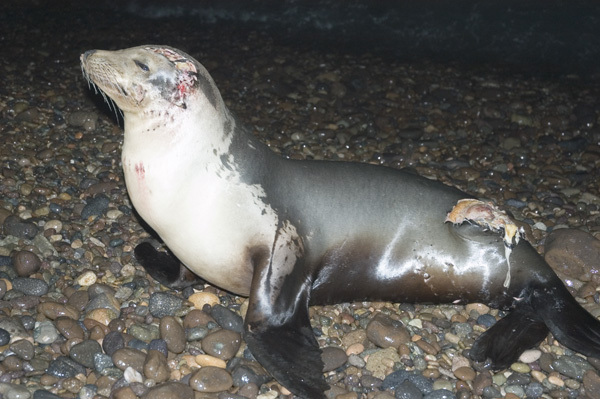 A Californian Sea Lion with two severe shark bites. Cabo Pulmo, Baja, Sea of Cortez. 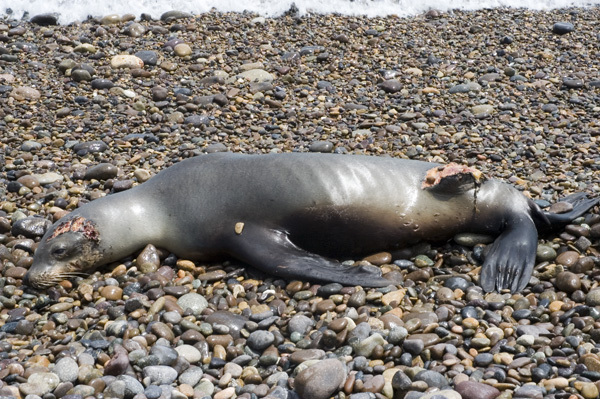 This sea lion was laying on the main public beach in Cabo Pulmo close to the centre of the village. 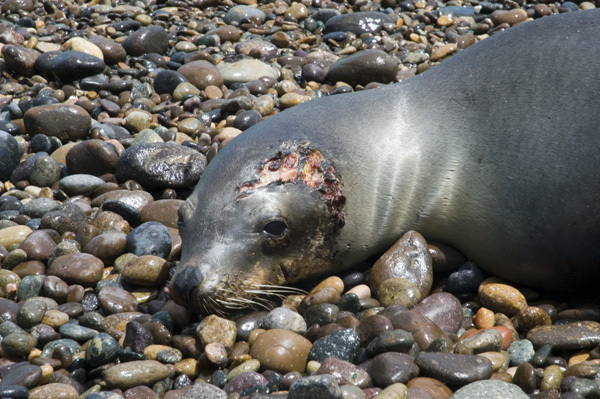 This was an unusual place for a sea lion to come ashore but the severity of its wounds may have made it impossible for the animal to make it back to its colony. 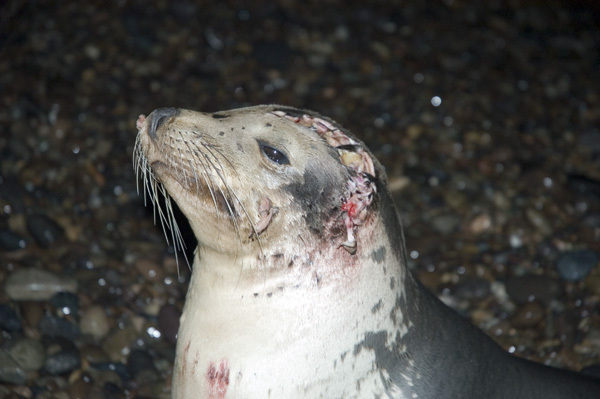 There are many fatal and nonfatal attacks on sea lions each year by sharks.